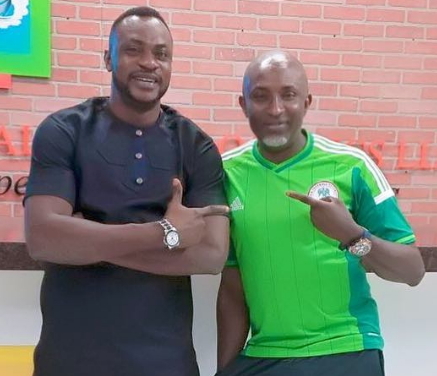 Nollywood actor Odunlade Adekola who is currently on tour in the United States just secured a mega advert deal with New Jersey based Naija-owned transportation firm, Global Ultra Logistics LLC. Check out his interesting advert for the company owned by Kenny Adebayo below. lucky u,u go get commission for any transaction u make..
Mega deal. I laugh in pigin English. This is just a small cargo company that ship goods to Nigeria on behalf any Nigerians who wants to do so. Why the hype. We have many small companies operating by Nigerians like that all over USA. You can even do it from your house as self employed. London. Manchester.Amsterdam. We have then all over.